Strawberry tea is a sweet and fruity herbal infusion prepared from the dried leaves as well as fruits of the plant. Owing to its pleasant flavor along with its numerous health benefits, this tea is gaining popularity as a refreshing health drink. 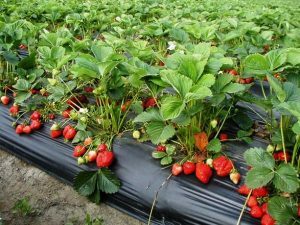 Strawberry has an ancient history with the fruit being mentioned in Roman literature in regards to its medicinal uses. Folk healers also used the wild leaves of the strawberry plant for treating rashes, arthritis, depression, heart diseases and so on. An infusion of the leaves and fruit may have come into origination eventually with the purpose of getting a tasty, flavored drink that would be helpful in warding off several health hazards. The cultivation of strawberry that is grown worldwide for its fruit began in Europe, gradually spreading all over. The presence of caffeic acid gives strawberry, natural diuretic properties, making it effective in flushing out the kidneys and eliminating toxins. 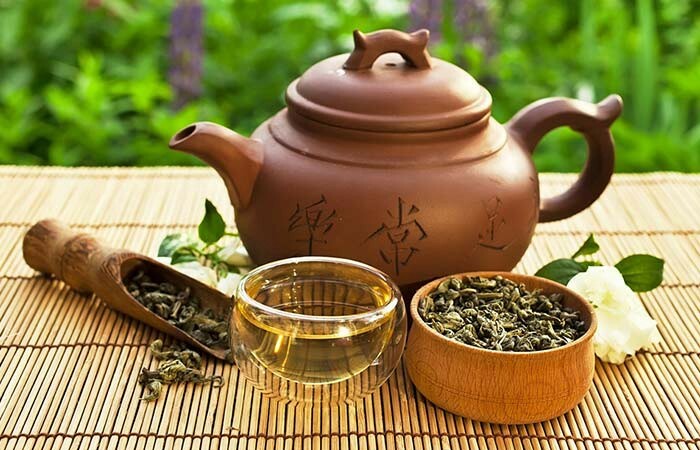 Therefore, people having problems with water retention or urination should consider drinking a cup of this tea on a daily basis to ensure proper functioning of the kidneys. 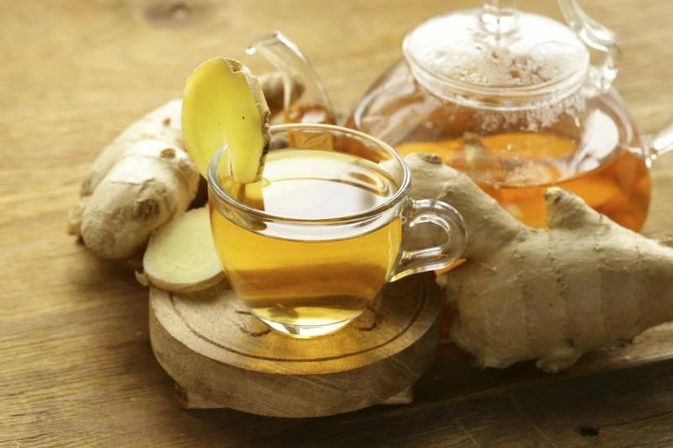 However, in case you are already undergoing medical treatment for any of these conditions consider seeking a doctor’s advice before consuming this tea. Studies have highlighted the strong antioxidant activities of wild strawberry leaves, thus being beneficial in destroying free radicals, thus maintaining a healthy immune system as well as a glowing skin. Drinking tea made of wild strawberry leaves would also keep your skin free of wrinkles, minimizing chances of premature aging. The vasodilatation properties of the fruit in general and the leaves in particular (wild ones) helps to dilate blood vessels, therefore maintaining a sound heart health also keeping the blood pressure levels in check. They also help the muscles of the artery walls to relax, in turn contributing towards a natural blood flow. 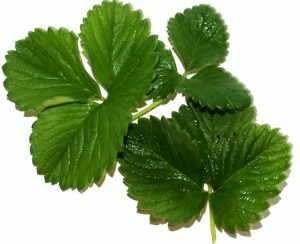 The vasodilating effect has further been established in a journal in 2009 based on results from studies of wild strawberry leaf extracts conducted on guinea pigs and rats. 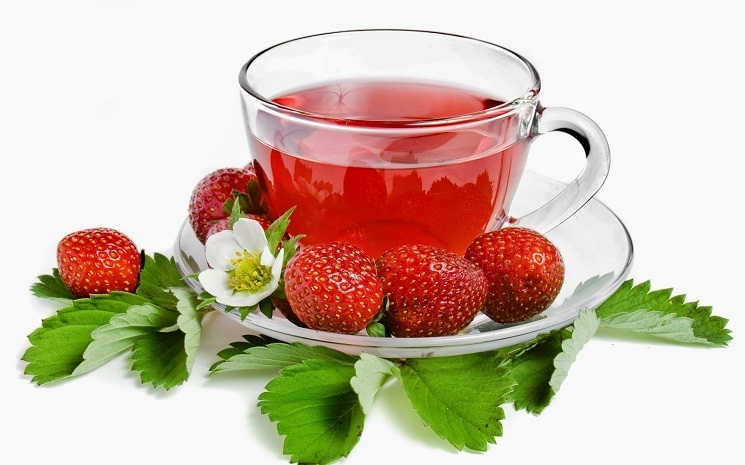 Strawberry leaf tea apart from the ones solely prepared from the fruit is highly beneficial in digestion because of the presence of tannins which also has an anti-inflammatory effect, therefore aiding in relieving several digestive disorders like an upset stomach, bloating and cramps. A journal named Gene, Genome and Genomics had published a study in 2011 stating the rich tannin content of the leaves of wild strawberries found in the Chile region. As it contains minerals like magnesium, potassium, and calcium, drinking a cup of this tea on a daily basis would help in keeping your bones healthy, also minimizing or providing relief from arthritis, osteoporosis, and joint pains. 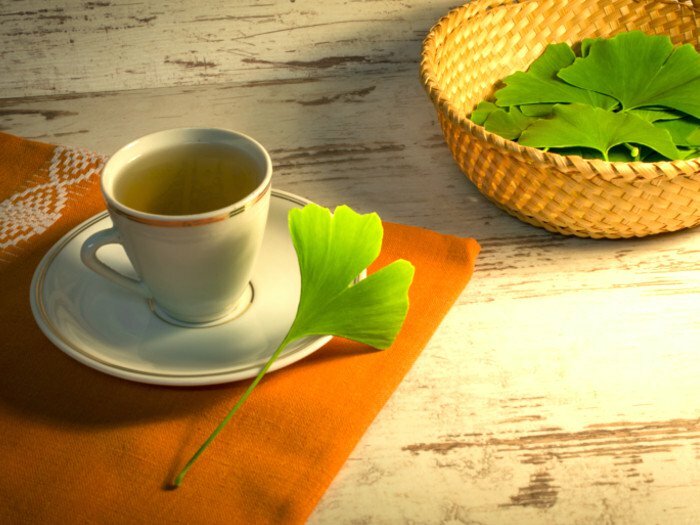 Since this tea also functions as a diuretic, it helps in removing the accumulated water from joints that can trigger inflammation and pain. 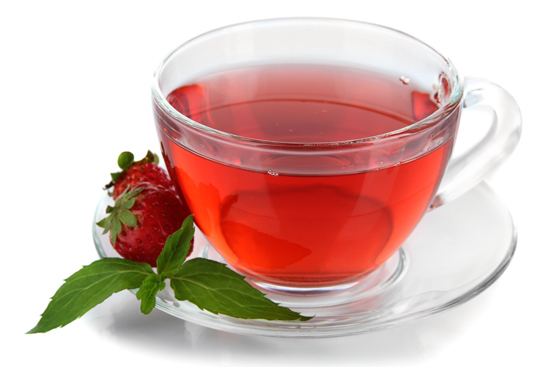 Being low in calories, as well as containing ellagic acid and anthocyanins, a cup of strawberry tea daily would be ideal if you are on a weight loss regime. To add a strawberry-like flavor to your black tea, you may make a syrup by boiling a cup of strawberries in two cups of boiling water in addition to sugar and simmer for ten minutes until the syrup gets thick. Strain it and discard the strawberries when cooled to room temperature. Finally, chill it in the refrigerator. Prepare your black tea, mix it with the syrup, ice, and even lemon juice. 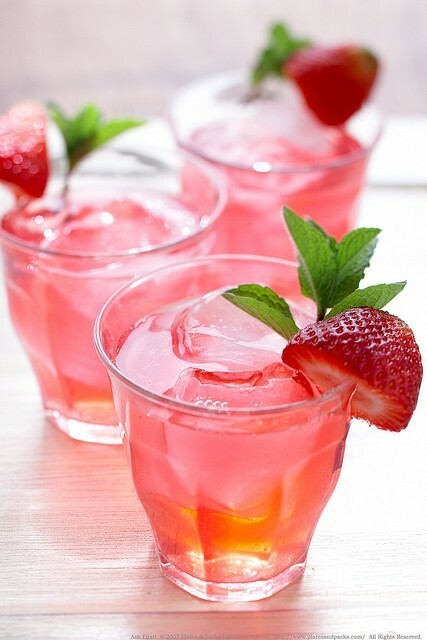 You have your strawberry lemon iced black tea ready. 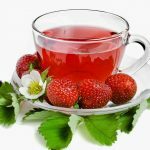 Though this tea has no known side effects, there are chances of developing allergies from strawberries (the fruit or even the leaf). Overconsumption may also bring in adverse health hazards. 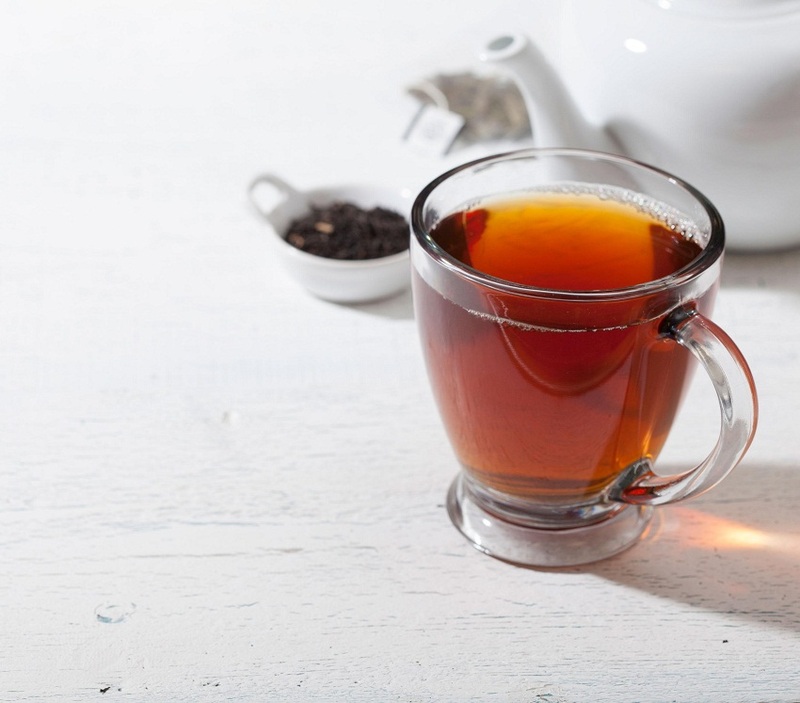 If you seem to have nausea, vomiting or even develop allergies after having it refrain consuming the tea any further and talk to your doctor at the earliest. Because of its diuretic properties, tea made from the fruit or leaves of strawberry may minimize water retention in pregnant women. Not much detail has been derived regarding its usage during pregnancy. Moreover, the tannins present in strawberry (fruit and leaves) can block the iron absorption, resulting in anemia which is dangerous for pregnant women. Therefore, it is advisable to have a word with a doctor about drinking this tea when pregnant. Lactating mothers should also avoid drinking the tea to prevent complications of any kind. 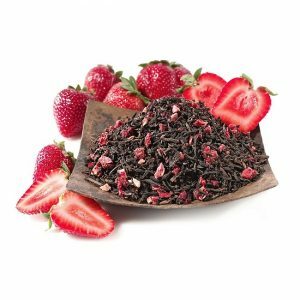 You can buy strawberry tea online or in stores selling herbal infusions. 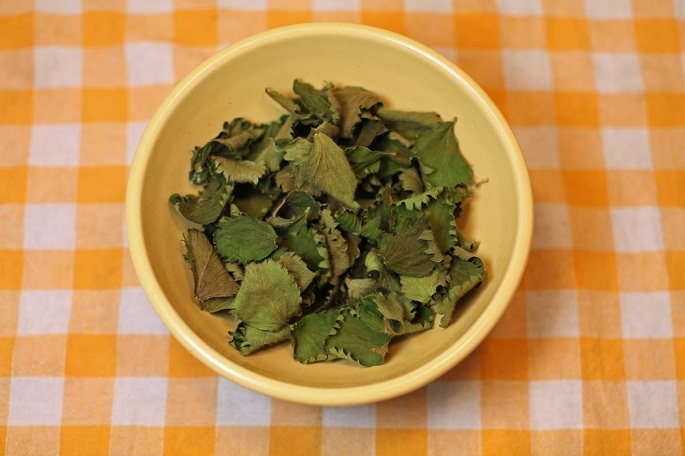 Getting wild leaves to make this fruit tea may not be possible, you can avail of the pure dried leaves online. 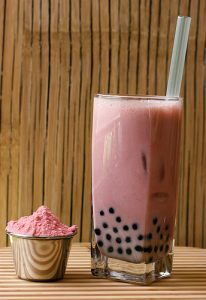 Other variations include strawberry vanilla tea bags, long island strawberry tea or strawberry hibiscus tea.